Durable Fabric Cover Easy installation & uninstallation, easy to store Sufficient space to store plenty of items Environmentally friendly material and manufacturing. 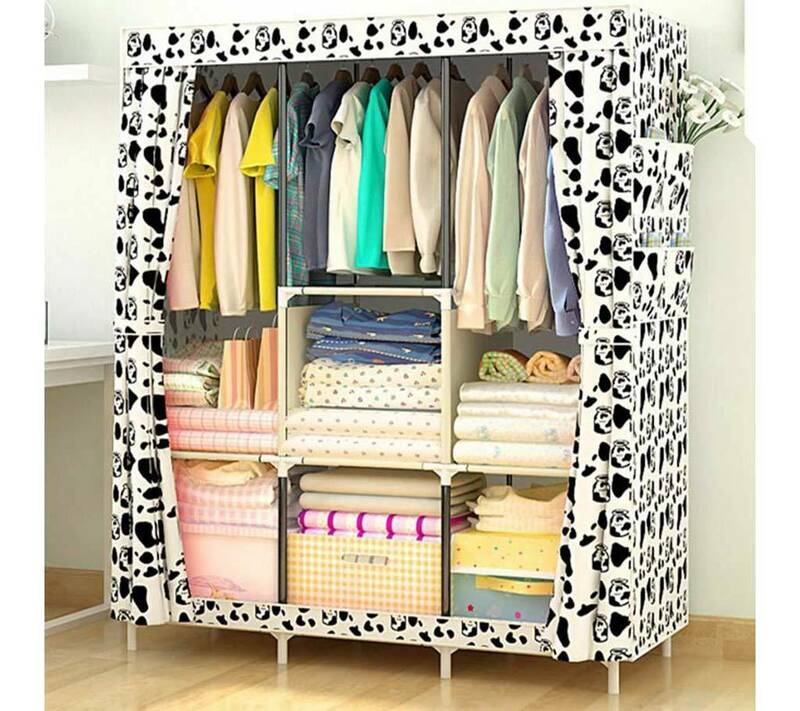 Protect your clothes and belongings from dust, humidity and insects Very stylish and practical, this fabric wardrobe, The wardrobe is fitted with a hanging rail to hang all your coats, shirts and dresses without wrinkling them. On Either Side Of The Wardrobe is this shelves that can accommodate pull, T-Shirt, Pants Or Others. It also has side compartments for placing your accessories grce SES tubes metal rust resistant due to the stainless steel construction, this small cabinet offers a smart finish to a good stability.